Mother’s Day has always been a conundrum for me. Growing up, my relationship with my mom was always a bit on the story side. I wasn’t an easy child, and she wasn’t an easy mother. I never understood why a person would spend one day honoring a woman that you couldn’t get along with the rest of the year. I thought if you loved someone you should show it daily, not wait for a yearly occasion. Trying to write this, I decided to research the history of Mother’s Day, hoping to get a better understanding, when I found this interesting website. Although it was interesting, it didn’t help me put things into perspective. My insight came when I decided to share my thoughts on paper for this blog. When I think of Mother’s Day I think of it in three different ways. As a daughter growing up, I would spend what seemed like hours searching the card rack looking for the perfect card that would meet my mom’s approval. She always graciously took the card, but later I would find it torn to shreds in the garbage can. My mom will have been gone 26 years this October and I still miss her. As mom, I tried to cherish any little act of love my children demonstrated, even when my four-year-old son lovingly served my mom a nice cold drink of water from the toilet. (That is another story for another time.) I didn’t care what day of the year they demonstrated their love. 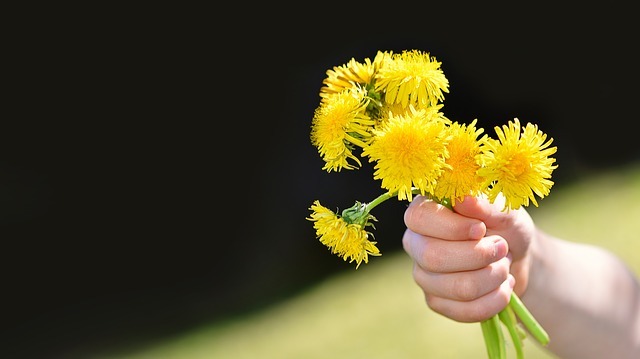 My favorite was random bouquets of pathetically mangled dandelions they proudly gave to me. To my daughter-in-law, I love you. You are good enough, and yes I see you and everything you do to make your home a home. To all mothers near and far, Happy Mother’s Day. Yes, I miss my mother very, very, very much. She passed away on May 8, 2013, she was only 52 years old. I did learn a lot from her that I got to be strong and to not give up no matter how bad you want to give up. to endure the hard times and to have fun. To cherish life the best you can, but only through Jesus Christ. Mother’s Day will never be the same without my mother. The same year, we also lost our first born son named Enoch Miracle Cobberti that lived and died on December 3, 2013 on a Tuesday morning. He was only 1lb and 8oz and lived for only two hours and a quarter. I was only 23 weeks pregnant at the time. So, I lost y mom and I lost my motherhood to enjoy my son that I never got the chance to bring home. So, I don’t like Mother’s Day and I can’t wait to it’s over. Anyway, God still gets the glory through this grieving process. Thanks for the article. I am so very sorry. I can not imagine the pain you feel or felt. My heart breaks for you. When I say this to you, I am not trying in anyway to take away your feelings or tell you what to think or feel. This is from my heart. Even though your precious Enoch is not with you and your time of mothering him on earth was cut short, but you are still a mother. You will always be a mother. Enoch is waiting for you in heaven. Have you ever read the book Heaven Is For Real? It is an amazing book. May God bless you and continue to be with you. I will be praying for you.